Screen Skills Ireland is seeking participants for its upcoming Movie Magic Scheduling and Budgeting training course, which begins on Saturday, April 6th in Dublin. Participants will be taught the time-saving facilities of EP Movie Magic Budgeting and Movie Magic Scheduling, the industry’s most widely used scheduling, and budgeting software. The course will be taught over four days by Line Producer Brian Donovan. Taking place in Dublin, the course will be broken out across two weekends: Saturday 6th, Sunday 7th, Saturday 13th, Sunday 14th April. The cost of the course is €350. This hands-on programme is aimed at film producers and production personnel who wish to create and edit schedules and budgets of all sizes for all types of productions. Please apply online at www.screenskillsireland.ie by 12 pm on Wednesday, 20th March 2019. 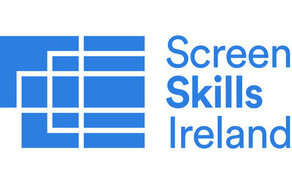 For further information please email fran.keaveney@screenskillsireland.ie.